My name is Lilit. As You can see from my greetings I’m a fan of languages and they are the most important aspects of my life! I’m 20 years old and I come from Armenia an ancient Eurasian country in the Caucasus Region. If You have never heard about my country I will respectively introduce it to You. I study at Yerevan State Linguistic University after V.Brusov. I study cross cultural communication/tourism – English and German Languages. I’ve already worked as an Englis teacher in Armenia from 2018. And right now I’m working as an English teacher in Poland. It is actually a voluntary job (EVS- European Voluntary Service) but I like my job. I work with kids (6-16 years old) .I love working with kids, teaching them and learning from them. I speak fluently Armenian, Russian and English. I understand German and try to improve it. As I live in Poland I learn Polish but my dream is to live and work in Czech Republic so I’m looking forward to start learning Czech. I’m very fond of photography. As I mentioned above I have already worked as a photographer in Armenia. My other hobbies include books, traveling, nature and learning. Learning about other cultures is very important for me for growing as an individual. I have already been to Georgia, Poland, Czech Republic, Germany, France and The Netherlands. And from all the destinations I have taken many good vibes and knowledge and many good friends! I love meeting new people and making strong connections with them. I’m looking forward to becoming an Au Pair to work with kids and spread my knowledge about everything that I know and become a part of a new family! 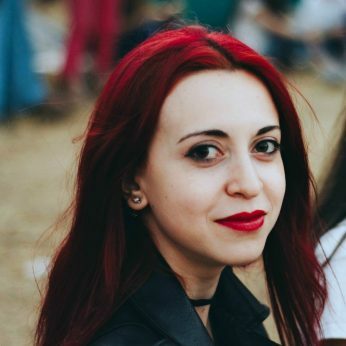 I worked as an English teacher in Armenia with young people and right now I work as an EVS volunteer in Poland (at school). I work with children aged from 10 to 16.